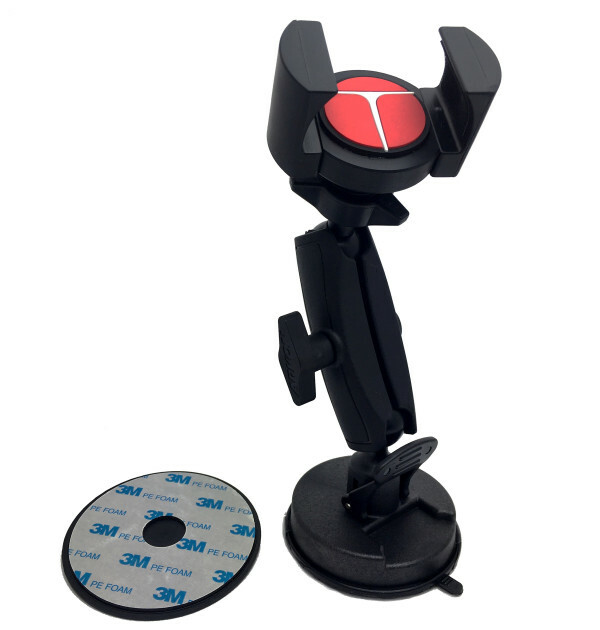 Supports devices from 2 inches to 4.3 inches wide. Made In The USA – All of our mounts are made in our factory in Florida. As a family run company Techmount is proud to be able to stamp all our products with Made In USA! All Parts Made of Aluminum and High Grade Resin – We use only Aircraft Grade Aluminum and DuPont Delrin Acetel Resin which allows our product to not only be the strongest on the market but also extremely light. Tools Included – All of our mounts are extremely easy to install and only require some bolts to be tightened. Every package comes with any tools you may need. Customizable and Versatile – All of our mounts and accessories fit together to allow you to swap them out when you get a new device or ride a new bike. This allows you to quickly and cheaply mount all of your devices on all of your bikes. The TechGripper Is the most secure and attractive mounting system for your cell phone, GPS, MP3 player or any other personal device. Gripping Power is 18 pounds per square inch and the claws spread as apart as far as 4.3 inches, enabling you to mount all models of cell phones and smartphones (including the Samsung Note and iPhone 6) while even in a case. The TechGripper Is injection molded using acetel resin and utilizes a stainless steel spring mechanism. This enables our mounting systems to be UV Proof, heat resistant, and waterproof. Lifetime Warranty – Because of the great care we put into the manufacturing and materials of our mounts we can offer a free and speedy replacement if anything were to go wrong or need replacement. Don’t go another day with your device not securely mounted!